We have been following Dubset for a while now here on DjTechZone, and recently I had a chance to do a phone interview with Dubset’s CEO Stephen White. Dubset is an interesting company with an interesting business model. Their objective is mainly to make mixes and remixes available for distribution on streaming platforms such as Apple Music, Spotify, Tidal and others. They achieve this by deconstructing the content uploaded to their service and identifying the legitimate rightsholders (musicians, labels…) for each bit. This makes it possible for rightsholders to earn royalties from this content. A lot of technology is needed to achieve this and Stephen explains it very well below. If you are thinking that, as a DJ, you can earn money with this process, you can’t. At least for now. Dubset’s objective is to create an environment in which rightsholders experience what it’s like to earn royalties from DJ mixes and start to see uploaded mixes as a positive thing rather than as a threat. Stephen indicates that later on there could be earning opportunities for DJ’s, which would be an amazing thing! So let’s move on to the actual interview. Due to the low quality of the audio, it doesn’t make much sense to post the audio itself, so you will have to do with the transcript. DJTECHZONE: how does Dubset help regular or bedroom DJ’s to get their mixes out there? Stephen White: We thought of it with the intention to help everybody. There is nothing in the technology that favors bigger DJ’s over DJ’s creating mixes in their bedroom. The tech is really made up of two parts. The first part is a massive rights database. We have gone out and secured licensing deals with over 50.000 publishers. We now have a licensed catalog of over 45 million tracks that DJ’s can use in mixes and in remixes. All that happens in MixBANK. The second part is MixSCAN, which is the identification platform that uses audio fingerprinting, time matching algorithms and heuristics to figure out what all the song segments are the DJs have used in their mixes. And the key there is, because the technology is not only audio fingerprinting, it is much more resilient than audio fingerprinting alone on content that has been manipulated. Like, you know, speed up, slowed down, pitch-shifted, mixed over… So, we are able to identify a much higher level of content. DJTECHZONE: So that means that no matter the amount of manipulation, MixSCAN can ID it. DJTECHZONE: How would you explain the process of getting a mix processed by Dubset and published in the simplest possible way? 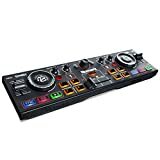 DJTECHZONE: Do DJ’s have any control on where the mix is distributed to or is that determined by Dubset? 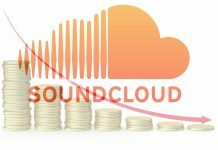 Stephen White: It goes by default to all possible distribution channels (if allowed by the right holders), but if the DJ doesn’t want it to go to a certain channel for any reason, they can tell us that during the upload. There are ways for them to deselect services if they don’t want the mix to go there. DJTECHZONE: That’s great! What about the new API that was announced at NAMM 2019? 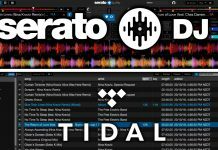 How does it work and what can you tell us about possible deals with DJ software companies to integrate it into their software? Stephen White: There are two parts to that question. The way it works is very simple. The goal was to make it very simple to upload content to MixBank for distribution without having to leave the software or services that they use to create their content. It’s a very simple RESTful API that integrates into the software and through the API we can create new accounts, we can authenticate and login into existing accounts, we can take uploads of audio against those accounts, you know to perform the clearance and distribution, and notify back to the application the status of the mix so that it can be displayed to the user in the software. We announced our initial partnership with SoundCloud back in October. There are no other formal announcements yet, but I can tell you there are many coming in the spring that we are super excited about. DJTECHZONE: Being able to upload mixes from the DJ software itself makes it so much easier so looking forward to that! About the financial part then. Are there any earning possibilities for the DJ’s themselves build into this model? Stephen White: Today there are not, the entirety of the revenue goes to the right holders. The benefit for the DJ is that they get these pages created for them inside each service, we create an artist page for them. Also, they have the certainty that the mix that we distributed for them are going to be there. They are not subject to the kind of takedowns that content is subjected to in YouTube and others. Because we work directly with the rightsholders and we pre-clear the content we have a much higher level of certainty that that content is going to stay up. So, DJ’s can build their brand, they are able to accumulate usage stats they can use when they negotiate their bookings, and they can be sure the content is going to always be there. R: Well I guess that making money out of mixes is not something DJ’s are expecting anyway; these days they are already happy their mixes don’t get deleted. Stephen White: Exactly. 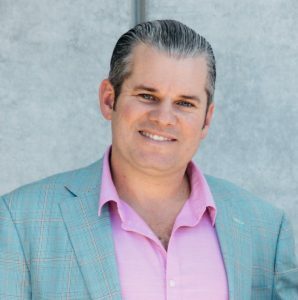 Over time, as the ecosystem matures, we are pretty sure there will be revenue opportunities for DJ’s, we just wanted to make it very simple for now, to get all the rightsholders onboard and start delivering this content and to show them there is consumer demand for this, which we believe very fondly there is, so we want to educate the rightsholders that that demand is there. DJTECHZONE: Have you encountered any significant resistance from rightsholders regarding your model? S: The right way to talk about it is education. We want the rightsholders to understand that we are here to help them protect their content, and by migrating usage of their content into higher paid on-demand services, we are hopefully helping to grow the subscriber base and create real revenue opportunities for the rightsholders. R: Would cooperation with YouTube be possible at any point? Today it’s very hard to keep a mix up there and many DJ’s see YouTube as a key platform to showcase their skills because it’s video as well. Stephen White: We would love to work with YouTube. We have been speaking with them for quite some time. They obviously have their own system with content ID, which has a slightly different purpose, so I guess the chances of us working together around delivering our pre-cleared content to YouTube is high. 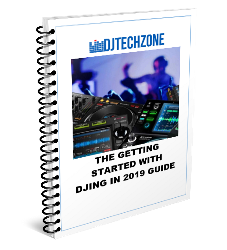 DJTECHZONE: That’s a great overview of Dubset for our readers Stephen, thank you for that! Any final thoughts you would like to add? S: Not many people know this yet, but Apple Music has been very aggressive in supporting DJ’s and DJ content. They very recently made DJ mixes and DJ sets into a standalone genre. So, there is now a home for this content inside of Apple Music in a way that doesn’t exist in other services today. I would encourage all DJ’s to check this out and see it for themselves as we believe this sets the bar on how services should handle DJ content. We feel it’s an exciting step forward for the entire industry. DJTECHZONE: Thank you so much for your time and good luck with Dubset in the future! If you want to try Dubset out for yourself, create an account right here, upload your mix and wait for MixScan to do its magic! What are your thoughts on Dubset? 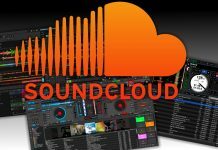 Do you feel it’s worth going through the upload process to have your mixes featured on big streaming sites? Comment below!